Bad budget management can severely damage the quality and easily break the project. And, truth to be told, it’s the most common cause of a project failure. 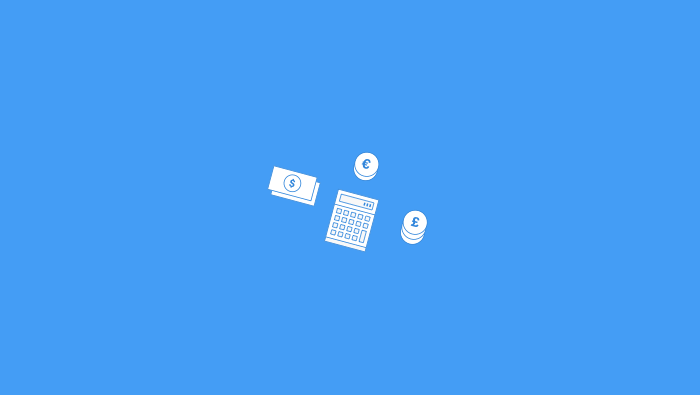 Will I be able to oversee all the risks and manage the expenses on projects? What kind of impact will it have on the project budget and team performance? What if a client’s additional requests leave me with no room to maneuver and eventually eat my entire project budget? Add 10-20% more time to relieve people of additional stress caused by tight looming deadlines - as mentioned earlier, it’s virtually impossible to predict a variety of factors that can change the course of project development.The last thing you need is the high level of frustration, panic, and low performance because your team is falling behind the schedule. 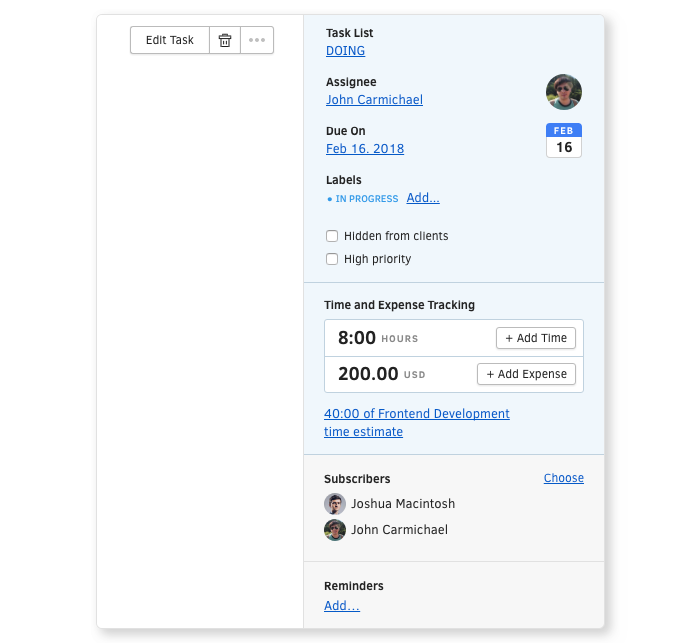 With so many things to keep in mind, you are probably asking yourself: How can I keep track of all the tasks and expenses when I am [working on multiple projects](https://activecollab.com/project-management) at the same time? 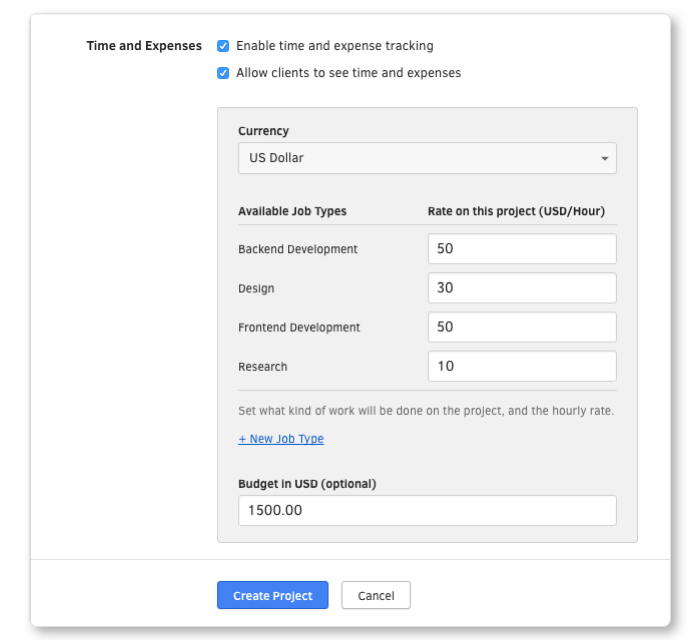 With ActiveCollab, your budget becomes a living part of your project - you can track it, review it and adjust it with your team and stakeholders on a regular basis. Budget and hourly rates should be established at the beginning and transparent throughout the project. Go through each task and create an estimate how long will it take to complete them. To find out the exact time, consult the team member that will be in charge of that task. You can also estimate it by yourself but only if you have no other choice. 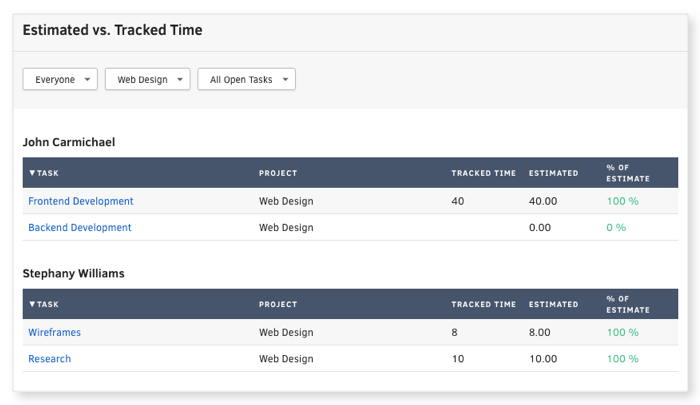 Have each team member track time they spend doing the work by using AC timer. In this way, your team will have a clear insight into how much time and effort they need to invest in each task. Also, this should help them identify the areas where they need to improve their own performance. 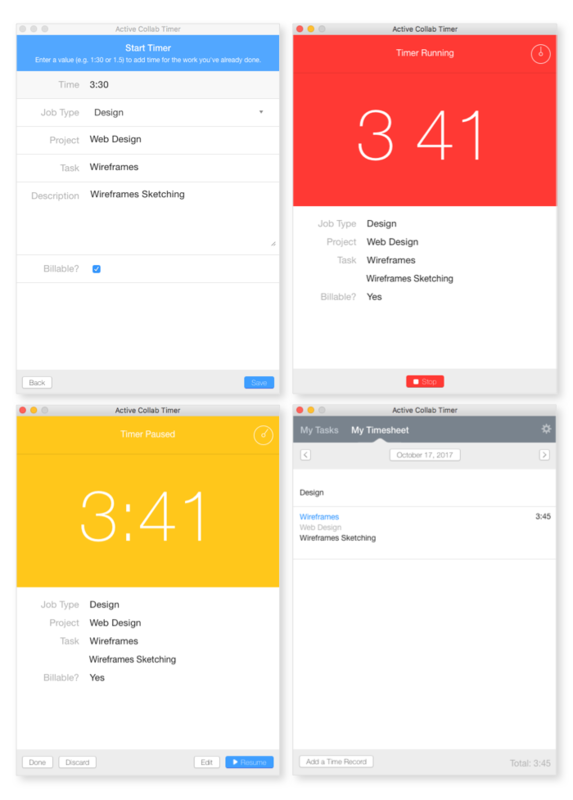 Ideally, when work is finished their estimated and tracked time should match. If you notice your project is behind the schedule, it’s time to consider a different approach or ask a client to increase your budget. If a certain task requires additional purchases (such as additional software) to get it done, have your team jot them down as “Expenses”. They should be precalculated and included in an original budget. If unforeseen expenses pop up, consult client about budget adjustment. The easiest way to keep track of all of your expenses is to keep them in one place - on a piece of paper or in a digital form. Keep in mind that there WILL be unforeseen expenses so add 5 to 10% on your accounting just to give yourself some room for maneuvering. Not spending your budget is much better than asking your client for additional funds. One thing you can be certain of is that the project will change. You need one place where you can communicate with all those involved in the project, see who is working on what at the moment, how the project is progressing according to the initial budget and if any part of the project is at risk. 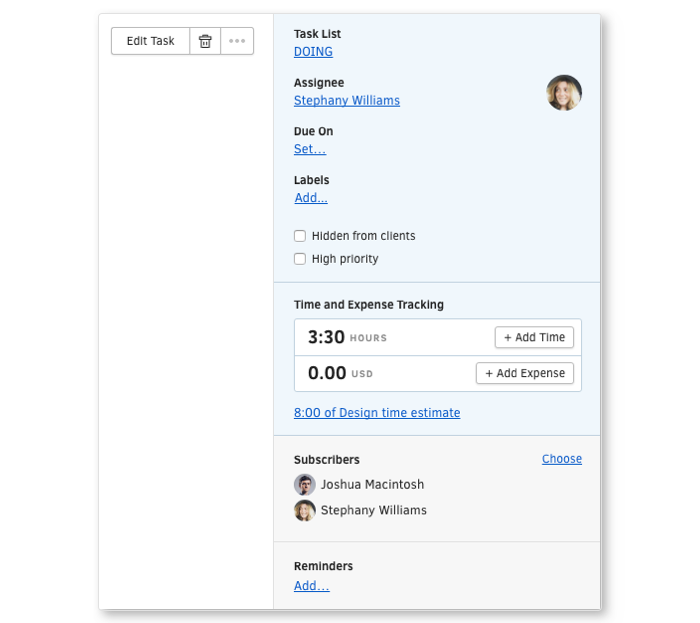 ActiveCollab will keep an eye on your project’s budget and streamline your processes so you can spot and prevent the problems before it's too late.